United Technologies is breaking itself into three independent companies now that it has sealed its $23 billion acquisition of aviation electronics maker Rockwell Collins. The company's announcement Monday was the latest by a sprawling industrial conglomerate deciding it will be more efficient and focused as smaller, separate entities. The separation is expected to be completed in 2020, United Technologies said. On Friday, United Technologies said it received final regulatory approval for its deal for Rockwell Collins, a Cedar Rapids, Iowa-based maker of flight deck avionics, cabin electronics and cabin interiors. The newly minted combined aerospace business would have had sales of about $39 billion last year, United Technologies said. Hayes will stay on as CEO of the aerospace business. The company did not name leaders for the separated Otis and Carrier businesses. 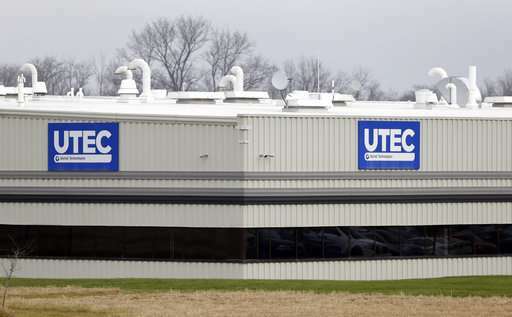 Founded in 1934, United Technologies is based in Farmington, Connecticut, and currently employs about 205,000 people. It did not say if any jobs would be lost in the breakup.